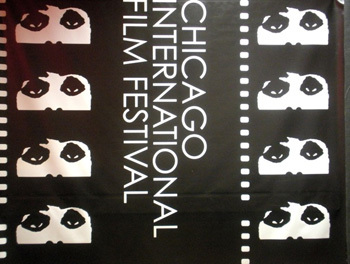 The staff of Sarah’s Backstage Pass used the old adage, ‘divide and conquer’ in approaching coverage of the 46th annual Chicago International Film Festival Oct. 7th through October 21, 2010. Staff members: Sarah Adamson, Jessica Aymond, Kay Eller and Tina Cline attended film screenings, interviewed talent, checked out film screeners, and volunteered at the festival. Together we covered 28 films. John Curran (“The Painted Veil” 2006) directs a layered, compelling film centering on four main characters’ secrets, sins and surprisingly, delves deep into the topic of faith. Edward Norton (Stone) stars as a cornrowed, convicted arsonist who’s served eight hard years in prison and hopes to convince Robert DeNiro (Jack) a Detroit corrections officer, that he’s been rehabilitated. Enter Mila Jovovich, Stone’s sultry, amoral wife, Lucetta, who ultimately seduces Frank. Throw into the mix the bible reading, Mrs. Mabry of 47 years of marriage, played amazingly by Frances Conroy and you’ve got a brutal, dark drama that has many unexpected twists and turns. The film “127 Hours” was screened for press and Sarah attended, the review will be posted Nov. 12, 2010 as well as Sarah’s interview with Danny Boyle.